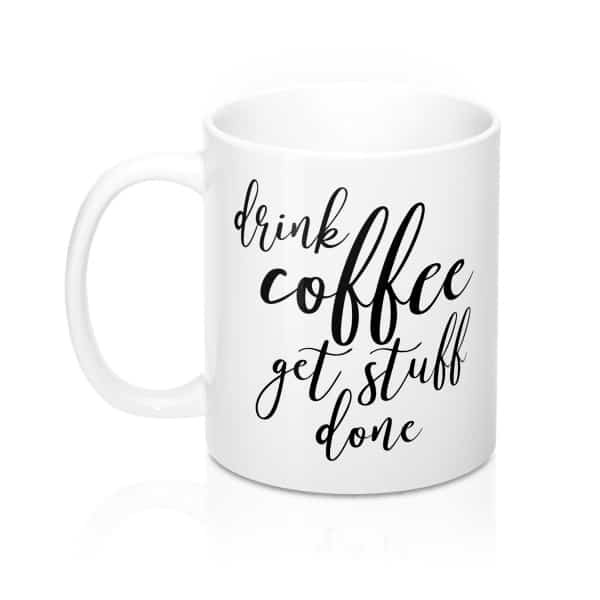 Can’t start your day without a cup of coffee? 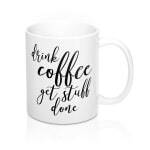 Get this beautiful “Drink Coffee Get Stuff Done” coffee mug today! 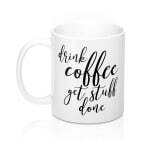 Perfect gift idea for coffee lovers and entrepreneurs. 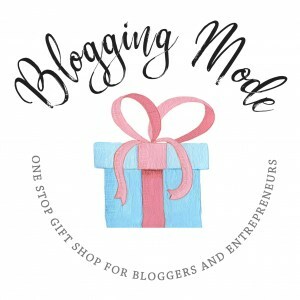 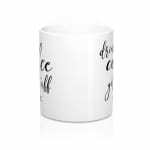 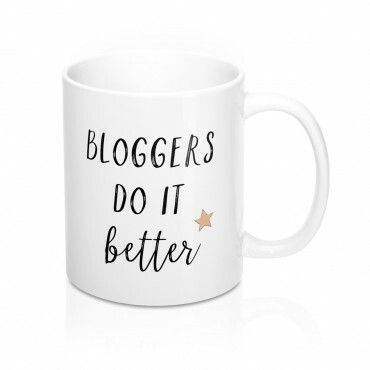 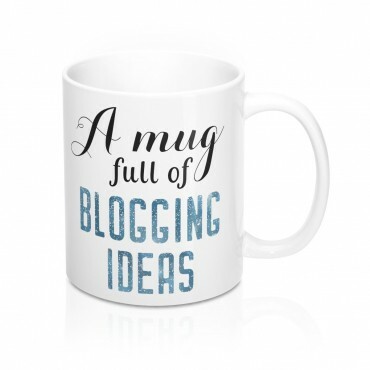 Perfect for coffee, tea and hot chocolate, this Blogging Mode classic shape, white & durable ceramic mug is the ideal gift for any true hot beverage lover, coffee addict, blogger or online entrepreneur with a sense of humour. 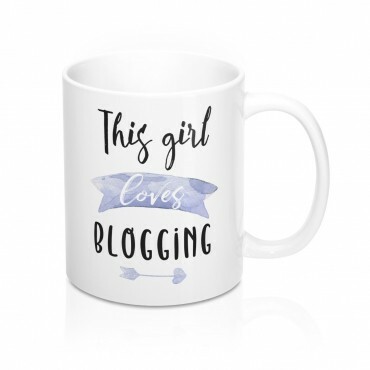 The high-quality printing and the vibrant design makes this a well-appreciated gift idea and a must-have item around the home office. 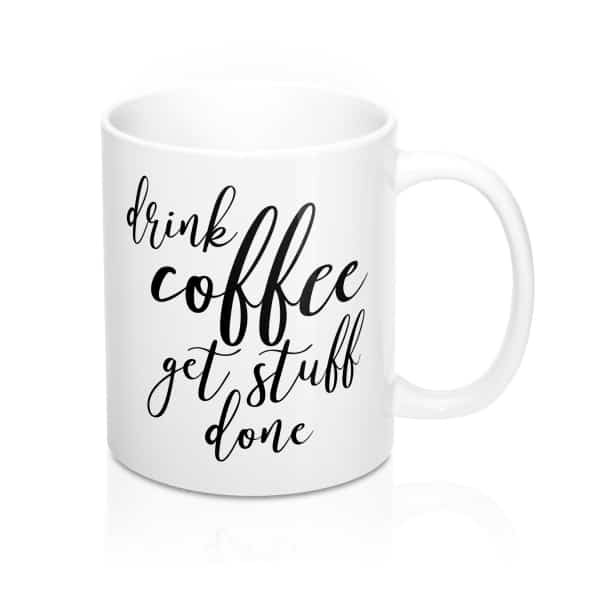 The message on the mug reads as follows: Drink Coffee Get Stuff Done. 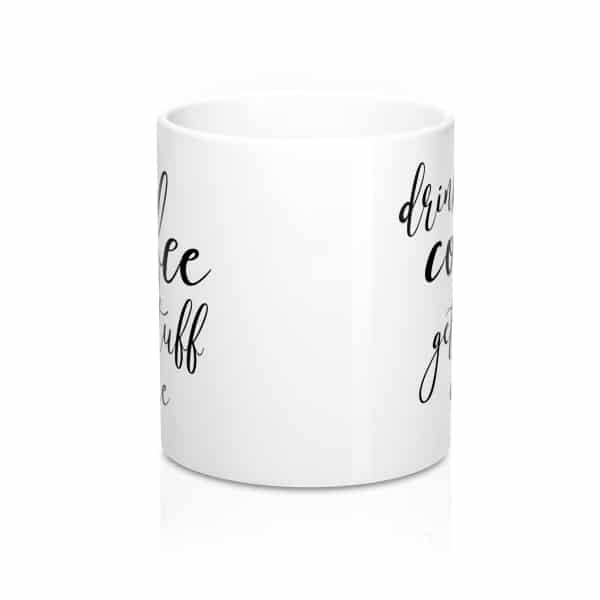 Perfect gift idea for any coffee lover!